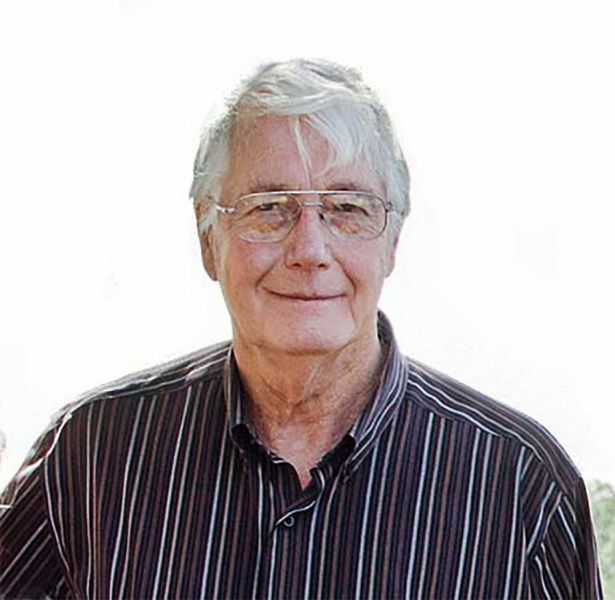 Roy passed unexpectedly on Jan 9, 2019 at 71 years of age. He will be lovingly remembered and sadly missed by his wife Gertie, their family and many friends. number of years, sold real estate for a few years and then worked as a contractor on many construction and mechanical related projects. He was very talented with the uncanny ability to figure out anything mechanical. Roy and Gertie spent many memorable summers at Red Deer Lake in Ontario and 10 winters in Florida. They built a home in Hazelridge, and then in Pinawa and finally returned to his roots in Roland building a home in 2009. He greatly enjoyed being part of the community and participated actively in shuffle board, golf, curling, bowling, and the pumpkin fair. Roy enjoyed dancing and travelled to many square dances and in recent years he was passionate about old time dances. Roy had a heart of gold and a genuine interest in people. He was always ready and willing to lend a hand and contribute in any way he could. Roy played a significant role in building the memory garden located next to the United Church in Roland. Roy was predeceased by his parents Albert and Miriam, brother Graham and sister Lois and is survived by his brother Tom. Funeral service will be held on Tuesday, January 22, 2019 at 2:00 p.m.at the Roland United Church. Our sympathies to Gertie & family at this sad time. We were saddened to hear of the sudden passing of Roy. He will be missed by all who knew him. My sincere sympathy to all of the family .I went to school with Roy and was very surprised to have to guess who he was at a pumpkin fair a few years ago. Amazing how time flies. You will remember and be thankful for the wonderful experiences and places you have shared. My sincere sympathy to you at this sad time. May all the wonderful memories bring you comfort in the days ahead. Roy will be missed in our community. May the resurrection hope spoken of at Acts 24:15 provide comfort to the friends and family of Roy who look forward to seeing him again. Roy was a very kind hearted man and smart too. We met Roy and Gertie in Florida, Roy helped us with a lots of things with our place in Florida. My deepest sympathies to you Gertie. My condolences to Joy & Tom. Wish I could be with you tomorrow. I don’t think I ever met Roy, but it’s a lovely picture of him. Gertie, am so very sorry to know that Roy passed away.You are both in my thoughts and in my prayers. Wish I could be there to give you a warm hug..God bless you..love,Ann. As we are in Sidney on the west coast, we are late hearing your sad news. We are very much saddened by the news and extend our sympathy to you and all your Families. We have such fond memories of you both when you were in Pinawa. Our thoughts are with you and may the memories comfort you. So sorry to hear of Roy's passing Gertie . Fond memory's of living next door to you in Pinawa.